It is possible to avoid joint replacement surgery, and improve pain, with a bone stimulator. Magnetic therapy, or non-operative electromagnetic bone growth stimulation is safe, easy to administer, and effective. We are pleased to offer this innovative treatment option to patients in Greenville, Spartanburg, Anderson and surrounding areas. 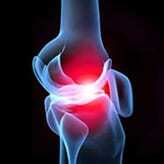 Over twenty-one million Americans suffer from Osteoarthritis (OA). OA of the knee can be the most debilitating. 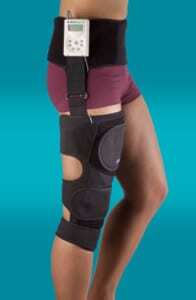 Over 400,000 total knee replacements occur in the United States annually. Many people who have knee problems are not candidates for replacement, or want to avoid surgery if at all possible. Factors that preclude joint replacement include young age, obesity, and medical co-morbidity such as cardiovascular disease or other neuro-musculoskeletal disorders. With pulsed electromagnetic currents, these contra-indications become irrelevant. 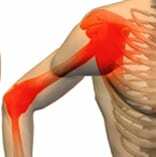 Bone growth and remodeling in healthy joints are dependant upon electrical currents produced in bone with movement, use, and weight bearing. When function is diminished due to pain, a vicious circle can develop — worsening condition leads to further reduction in function, and reduction in function leads to worsening condition. This downward spiral can be reversed through the application of an electrical current stimulator that reproduces what occurs in healthy joints. In a study performed at Johns Hopkins University, 62 percent of patients were able to avoid total knee replacement surgery by using a pulsed electromagnetic stimulator device eight hours a day. Moreover, the data has been reproduced. Even Rheumatoid arthritis of the hand has been found to be responsive. Any program that is intended to improve the symptoms of arthritis should include the use of other, traditional treatments such as restorative therapy, intra-articular hyaluronidase or steroid, and anti-inflammatory medication. Combining pulsed electrical therapy with ligament regenerative injection (Prolotherapy), gait analysis and Orthotic prescription, and corrective treatments for neuropathy or radiculopathy and vascular disease can have a dramatic impact upon outcome as well. Too many people suffer needlessly from the effects of Osteoarthritis. Effective solutions are available even for those who need, but cannot have, joint replacement surgery.